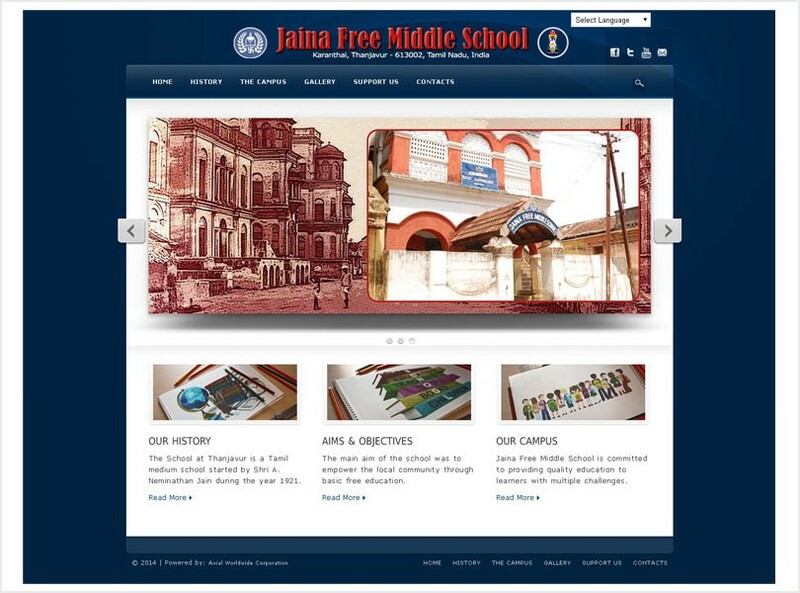 The Jaina Free Middle School, Thanjavur is a Tamil medium school started by Shri A. Neminathan Jain, during the year 1921 venturing through the earnings from a grocery business. He started the school in a nearby Jain temple, AdhiBhagavan Jain Temple proceeding with his own effort. During that period all the schools collected fees. But the founder had main aim to teach children’s freely and paid the teachers with his own funds. He also conducted Sanskrit classes for willing students. The school was grown up as full-fledged elementary school. Governments approved and sanction and grant for teacher’s salary. In this circumstances he decided to construct a double floor building for which Shri. Ponnu Samy Jain offered his own land and donated it to the school.